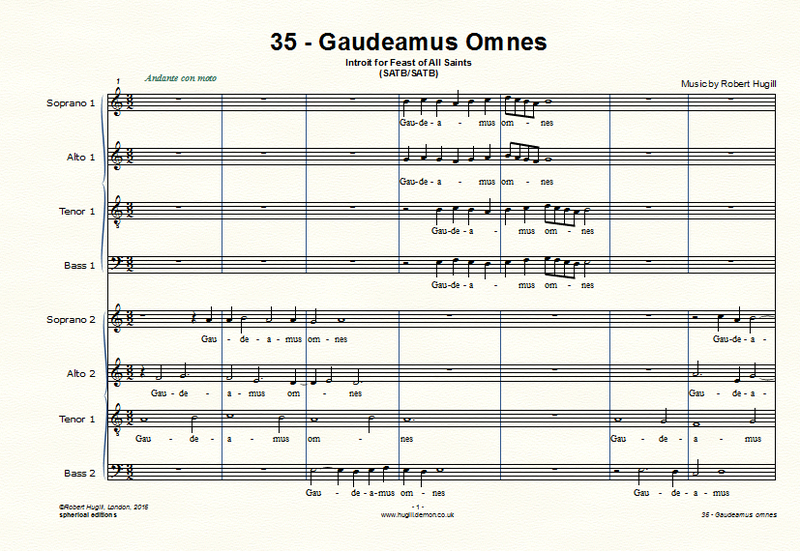 Finally, after 10 years, 45 hours of music and 70 motets, my cycle of motets for the Church's year, Tempus per Annum, is finished. It has taken rather longer than I anticipated, and I have to confess that working my way through the 33 Sundays in Ordinary Time for the finally two volumes took some doing. 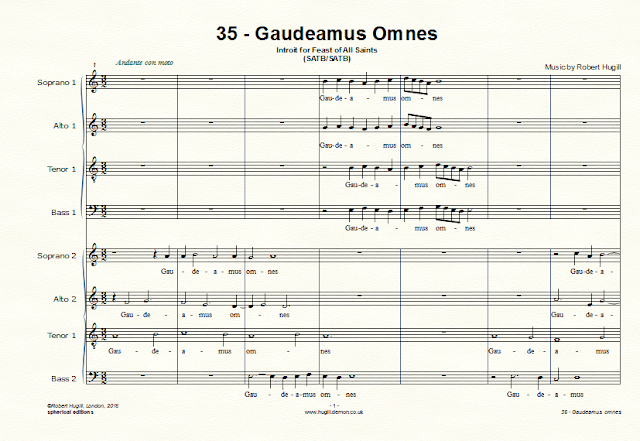 All the motets are now available for free download from CPDL (http://www.cpdl.org/wiki/index.php/Robert_Hugill), all I ask is that if people perform them they let me know. So far performers have included Alistair Dixon and Chapelle du Roi, Malcolm Cottle and London Concord Singers, Paul Brough and the eight:fifteen vocal ensemble (who recorded the Advent Motets), Peter Leech and Harmonia Sacra (who will be recording one this year), Francis Brett and the Amaryllis Consort, Ben Woodward and the choir of St John's Church, Fulham, the choir of All Saints, Margaret Street conducted by Paul Brough and by Tim Byram Wigfield, and I look forward to adding more to the list. The motets are intended to be of practical use, they are not too longer and most the motets in the first two volumes are for four-part choir, with the remainder moving from four- to five- and six-part whilst the final two motets (for the Feast of Christ the King, and for All Saints) are for double choir. The title of this post, by the way, translates as The great work is finished, or so I hope!